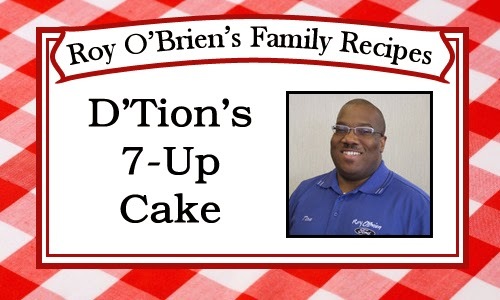 Our Sales Associate, D'Tion Jackson, has been working at Roy O'Brien Ford for 5 years. 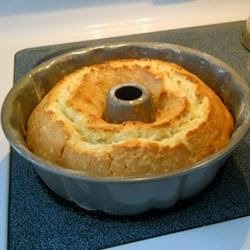 One of his favorite things to bake is a great pound cake. Not only is this recipe so simple, but the cake is delicious. We hope that you enjoy it! Cream Together sugar, butter and Crisco. Add flour and eggs alternately to the mixture and mix. Add 7-Up last and mix. Bake at 325º for 55-60 minutes in Bundt pan sprayed with Pam. 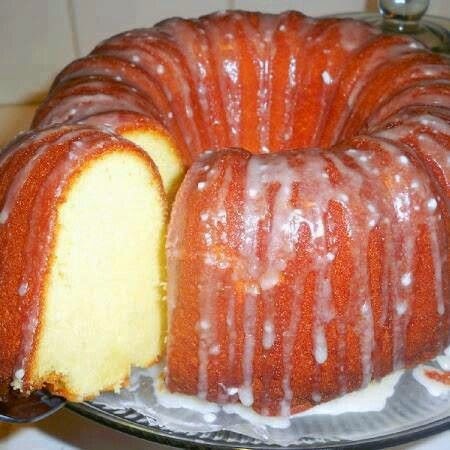 **You can drizzle cake with icing made from powdered sugar and 7-Up.